CMI Institute - How can MDI help my practice? 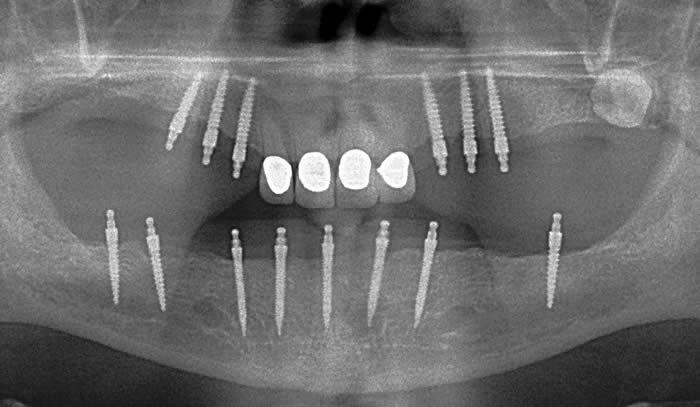 How can Mini-implants help my practice? Would you like to help more patients who wear a prosthesis while increasing production? This is possible … by incorporating mini-implants into your dental practice! The Canadian Mini-implant Institute specializes in the mini-dental implant technique and offers more than eighteen hours of courses. We have courses beginning with an incomparable basic hands-on training, up to the total mastering of the most complicated cases, including extraction cases. Course participants will have the benefit of receiving the most complete training available. CMI will not only instruct you on how to place mini-implants, but also explain in details what not to do in order to achieve long-term success. You will learn how to deal with eventual problems that might happen when working with mini-implants. The founder of CMI, Dr. Bruno Lemay, has over ten years of experience placing mini-dental implants and has enjoyed exceptional long-term results. Dr. Lemay will help you succeed with the most difficult cases and provide assistance and help during your learning process of this exciting technique but also well after you have attended the course(s). Implementing mini-dental implants into your practice will undoubtedly create a resurgence of energy for yourself and your staff. The level of patient appreciation cannot be measured until you see it for yourself.That alone will give you one of the most gratifying feelings of being a dentist. Do not miss this chance to learn this exciting alternative that will make such a difference in the lives of you and your patients. How do you know if your dental practice would benefit from the mini-implant technique? If you answer “yes” to one of the following questions, then learning more about this extraordinary technique will greatly benefit your patients who cannot afford standard implants! Do you have patients who wear dentures and complain about their instability? Do your patients with dentures use denture adhesive? Did you ever hear of mini-implants as a temporary solution only? Are you actually placing standard implants but experiencing treatment rejection because some patients cannot afford it? Have you ever placed mini-implants with or without success? Are you interested in helping your denture patients improve their comfort and masticatory function? Do you want to increase your production both hourly and annually? Do you want to have another technique more esthetically pleasing and more economical to stabilize partials without using clasps? Do you have a pre-conceived negative impression of mini-implants?